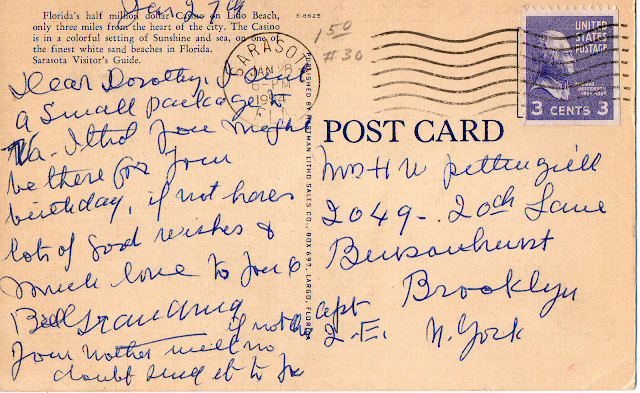 Sent from Sarasota, Florida in 1954. Here’s another favorite postcard from my collection! 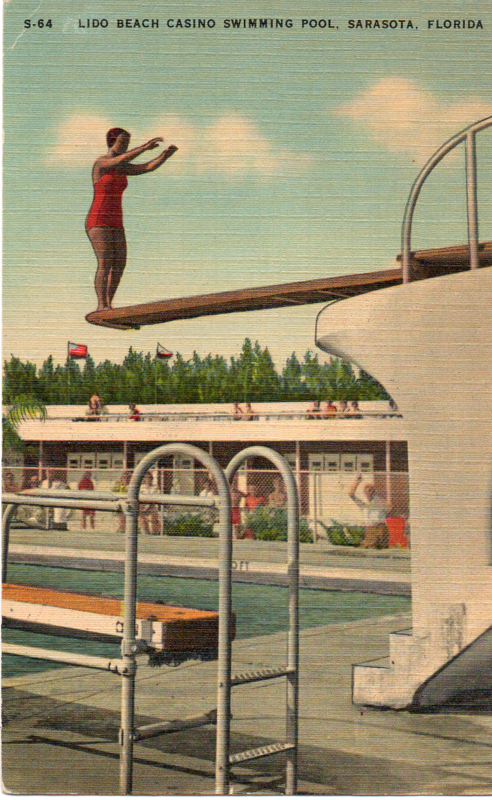 I love postcards that have been sent before because it’s always interesting reading other peoples letters from years and years ago. 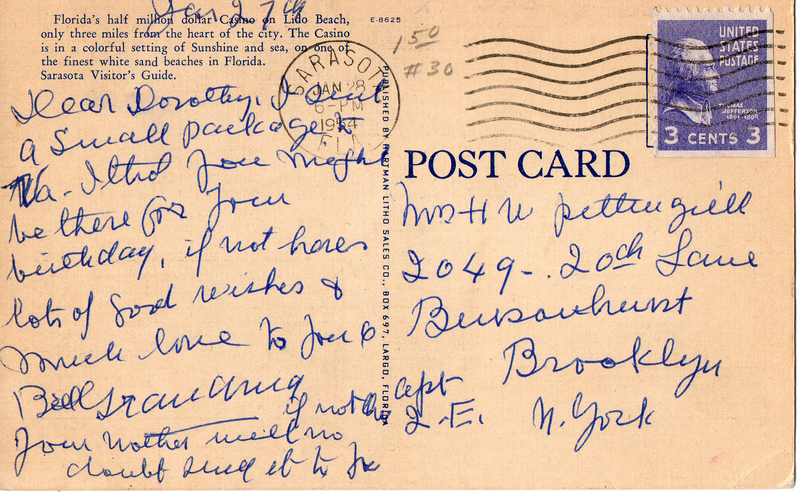 This is a Florida Postcard, Sent from Florida to New York, yet I bought it in Sand Diego…I wonder how it got there?? One thing is for sure – many times it’s hard to read the handwriting!! Previous postThe Mystery of the Moon Trees Next postWe Live Inside!